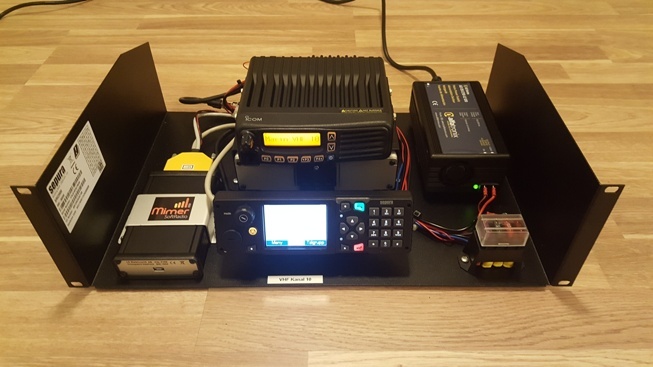 Mimer X-Link is a system with a small interface that makes it possible to build a cross patch between almost any two radios. Incoming audio on one radio will be re-transmitted on the other radio an vice versa. In many cases radio channels/talk groups from different systems needs to work together. For example airband channels together with ground channels on an airport or harbour channels together with marine channels in a port. 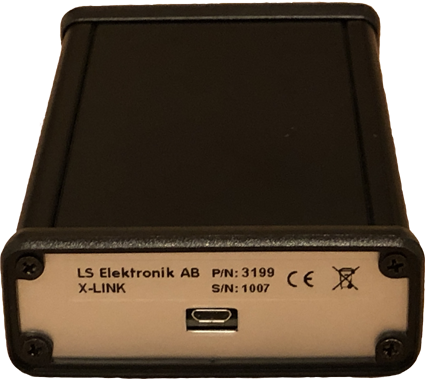 The heart of the X-Link is a small interface that connects to both radios. The interface has settings for audio levels and detection of reception as well as triggering of the PTT. Rack shelf installed with X-Link interface and two radios. Sepura Tetra and an Icom radio programmed for Marine VHF. When setting up the system for the first time, the audio levels in/out of the interface needs to be tuned. Also the trigger of incoming audio needs to be set so that PTT is done on the other radio. To do these settings a small Windows tool, X-Link Setup, is used on a standard PC. Connection to the interface is done through a USB cable. Of course the radios audio in/output will need to be set to recommended levels before the tuning of the X-Link interface starts. When all settings are done, the system will run by itself. No more attention will be needed. To make a complete kit, we provide cables to fit different radio types. We also provide guides for those who prefer to build the cable kits themselves. We can also deliver a ready to run setup on a rack shelf, including power supply etc., like the example above. A view from the setup program. 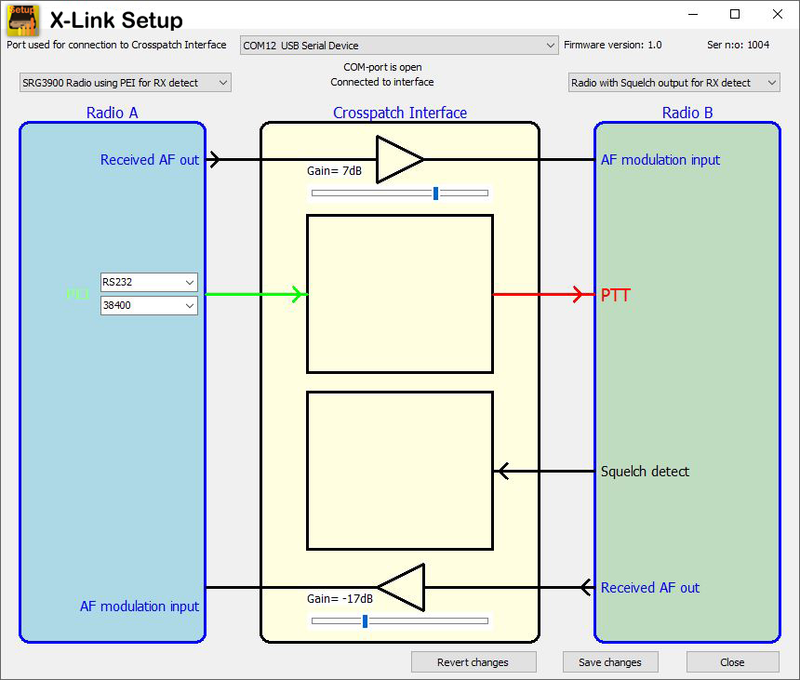 Graphically visualizing the two radios at each side and the X-Link interface in the middle. The left radio (Tetra) is in receive mode, shown with a green arrow. The right radio (Analogue) gets a PTT signal from the interface. At the top and bottom AF gain between the radios can be set. You can also build a cross patch where the two radios are at different sites. Using our standard system, Mimer SoftRadio. Then you also have one or more PC operators that can operate the radios. And the patch can be turned on/off. Using Mimer SoftLine. Connecting the two radios with a network interface at each end. And using IP infrastructure inbetween, for example the Internet.